She decided that she wanted to attend a college in New Mexico that was far enough away from home to feel independent but still within driving distance to family. After weighing her options, she opted to follow in the footsteps of many family members, taking a path that led to New Mexico State University, where she became a proud Aggie. Rylie excelled as a nursing student and track and field student-athlete at NMSU. She participated in student leadership programs, volunteered in programs designed to help others and earned accolades as a research scholar. By the time she earned her bachelor’s degree in nursing in 2015, she was the 12th member of the Hightower family to have graduated from NMSU since 1970, a tradition that has endured for more than 40 years. 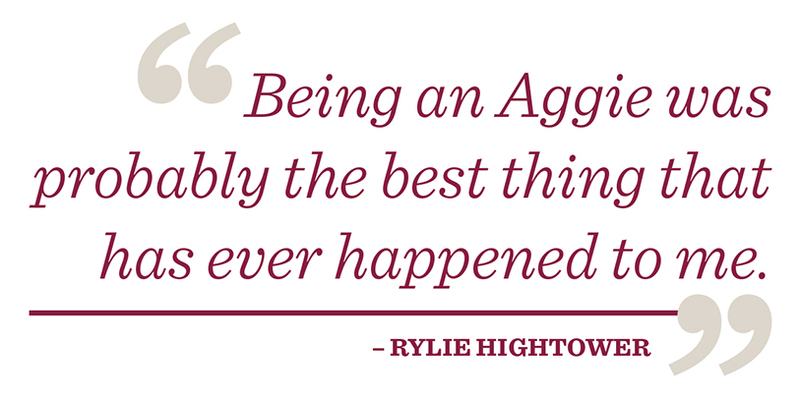 The family’s ties to NMSU started when Rylie’s uncle, Michael Hightower, became the first member of the family to attend the university in 1970. He studied civil engineering and went on to earn a bachelor’s and master’s degree. In 1977, Rylie’s father, Tim Hightower, also started studying civil engineering at NMSU and later earned a bachelor’s degree in 1982. Their brother, Steve Hightower, was the second member of the family to graduate from NMSU, earning a bachelor’s degree in biology and psychology in 1976. And, if all goes as planned, the family will celebrate its 13th NMSU graduation at the end of the fall 2018 semester, when one of Rylie’s younger sisters, Hailey Hightower, will graduate with a bachelor’s degree in early childhood education. 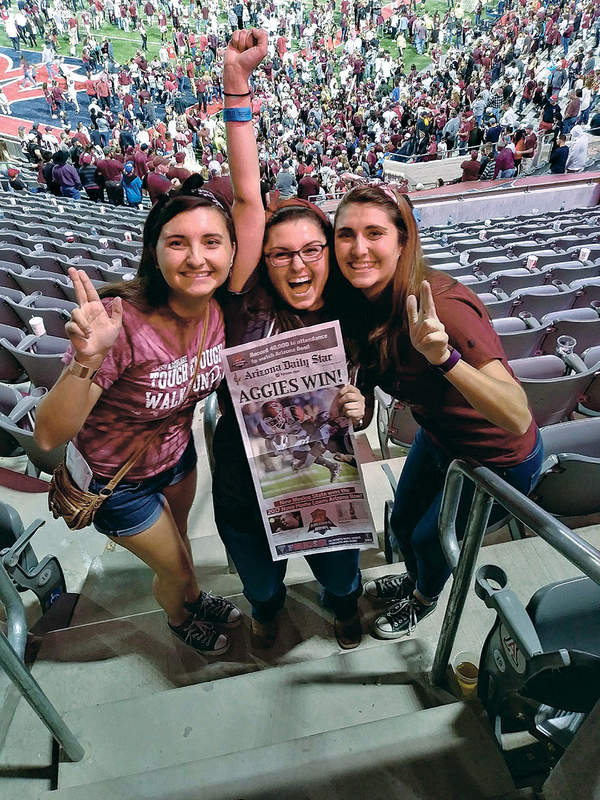 In December 2017, (from left) Kaycee Hightower, Rylie Hightower and Hailey Hightower were among the 20 family members to celebrate the Aggie football victory at the NOVA Home Loans Arizona Bowl in Tucson, Arizona. Since the 1970s, the Hightower family has had 12 family members graduate from NMSU with the 13th expected in December 2018. 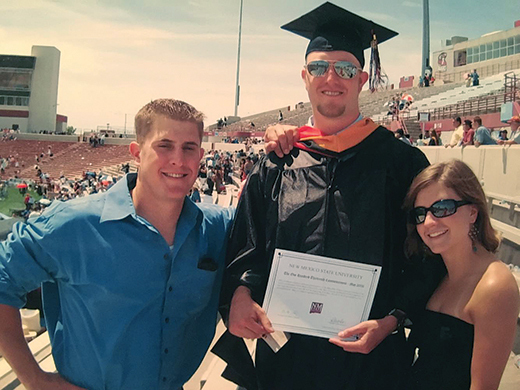 In 2003, Shaun Hightower (middle) celebrated his graduation at Aggie Memorial Stadium with Scott Hightower (left) and Julie Hightower (right).